At first, the news from the Census Bureau today seems really good. The agency's most recent report on poverty and health coverage shows that poverty has held steady and health insurance coverage has increased. Hey, I'll take it because it's always good and increasingly rare, to see numbers going in the right direction. But the numbers are still really high. Fifteen percent of the country's population is living in poverty, and 15.7 percent is uninsured. On a call with reporters, the Census Bureau's David Johnson said that on the poverty side of things job availability was largely responsible for keeping numbers steady, and that government sponsored unemployment insurance had a small impact as well. On the health insurance side, it was a different story. Only government sponsored health insurance was responsible for the drop in the uninsured. The number of people without health insurance fell from 50 to 48.6 million. About 2. 3 million more people were enrolled in Medicaid last year than were in 2010 and 2 million more people had Medicare coverage. The percentage of people covered by private insurance stayed flat, the first time in 10 years where that has been the case. Despite the uptick in the Medicaid numbers, people with lower incomes are still less likely to have health insurance than people with higher incomes. The Census report today was more of a snapshot of the country rather than an explanation of what it means, so there isn't too much information on any nexus between poverty and health care costs. However, when the Census released its supplemental poverty figures last year, the Commonwealth Fund took that report and estimated health care costs had pushed at least 10 million people into poverty. If states decide to expand Medicaid coverage and allow more people to enter the program, as part of the Affordable Care Act, economic pressure on some of those people is likely to ease. But, people move on and off the Medicaid roles frequently, not necessarily because their incomes improve. Kelly Stupple is a child health advocate with Washtenaw County Success by Six. She helps low-income families with young children navigate health care issues. "Medicaid is great insurance but you have to reapply every year." She explained. Stupple says that because forms can be cumbersome and her families move a lot many kids often end up without insurance. "One of the problems that we have with Medicaid in our country is what they call a 'churning effect,' children especially are enrolled, and then no longer enrolled." Almost 14 percent of kids living in poverty don't have health insurance, it's about 9 percent for kids overall, and those numbers stayed about where they were last year. One group of young people that saw a difference in health care coverage were young adults aged 19-25. That decrease, about two percentage points. Some of this increase is likely because of provisions in the Affordable Care Act that force insurers to allow parents to keep their children on their insurance plans until age 25.
Who decides which child health concerns matter most? Doctors and public health professionals certainly have a lot to say about children's health, and parent's do too. But how do these concerns translate into policies or programs tasked with doing something to make kids healthier? Well-that's more of a free for all. Every year, the University of Michigan's C. S. Mott Children's Hospital does a survey on childhood health concerns. They ask adults, both parents and non-parents alike, to state their health concerns for the children in their community. This year, lack of exercise was number one on the list of top-ten child health concerns. Obesity and smoking rounded out the top three health concerns for kids. But do these adults really know what the concerns for kids are? Certainly, there are a lot of kids who are not exercising regularly? 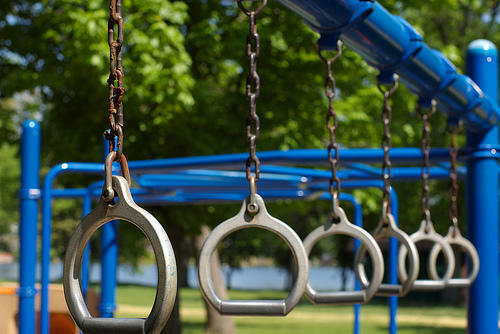 About 50% of kids in Michigan do not exercise regularly, according to Kids Count, making it partly responsible for the rise in obesity (which stands around 30% for kids in the state). A lack of healthy food or even just eating school lunches are also partly to blame for obesity.